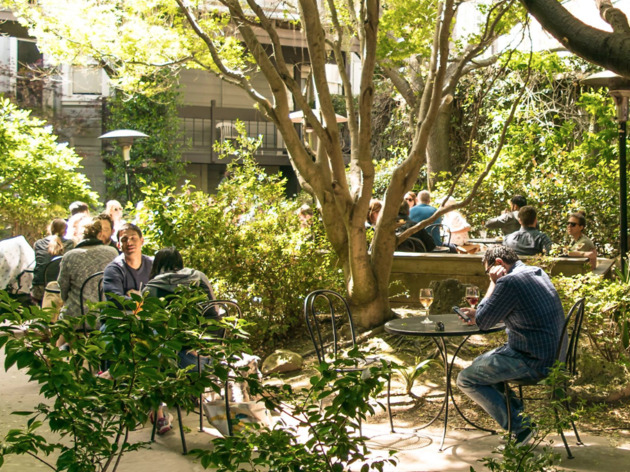 When you tire of the rowdy crowds swarming Hayes Valley bars, Arlequin’s pretty, back patio is a welcome oasis. Grab a bottle of beer in the cafe or a bottle of wine at the wine shop next door. The dog-friendly backyard, landscaped with flowers and sun-shading trees, makes a quiet, relaxing place to sip and read or catch up with a friend. 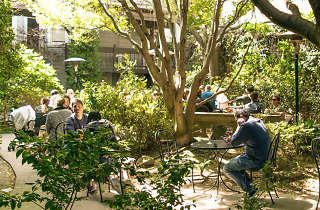 The cafe menu—which includes salads, sandwiches, pizzas and more—can be enjoyed out back, as well.